Sarah Brooke Lyons had practical reasons for shooting her portrait series “1005 Faces” in black and white, including maintaining visual continuity. More important, however, she wanted people to look — really look — at her subjects, each photographed holding a piece of placard inscribed with a short personal message. A mural of images culled from the series was installed recently at the former home of the Texas Highway Patrol Museum in Southtown. While there are a couple of familiar faces in the crowd — Hello, Spurs Jesus! How’s it going, David Robinson? — many look like people you might cross paths with at the grocery store or Starbucks. Lyons, 30, started working on the project after taking photographs at a series of events held in conjunction with DreamWeek, a summit focusing on issues facing multicultural communities. Born in San Antonio, Lyons divided her early childhood between Boerne and Harlingen and spent her middle and high school years in Castroville. She briefly attended the University of Texas at Austin before returning to San Antonio, where she has family. At the time, Lyons didn’t want to quit school, but she wasn’t ready to plunge back completely into academic life. “I thought, ‘I’ll just take photography at (San Antonio College). It sounds really easy,’” she said. It wasn’t long before she realized she’d found her passion. The bulk of Lyons’ work is business portraits. The freelance photographer also has done work for local publications, and last year, she had an exhibit of her fine art photography — images of Burkina Faso she took while on a missionary trip to the African country with Oak Hills Church. So far, she has taken about 600 portraits for the “1005 Faces” project, some of them at events hosted by businesses such as The Mighty Group, a marketing firm, Local Coffee and Whole Foods. She chose the number 1,005 because it was more interesting than a round 1,000. “(It) makes you stop and think and wonder and get curious and ask questions and stay engaged a little bit longer,” she said. 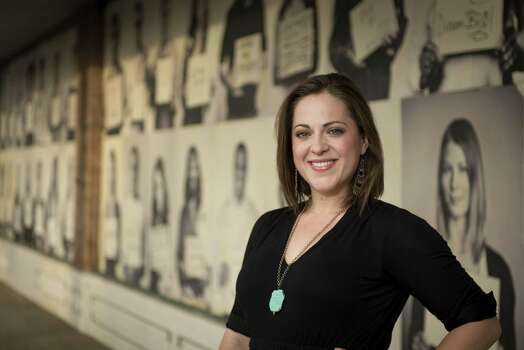 Lyons isn’t necessarily trying to accurately reflect San Antonio’s demographics — “Whatever happens,” she said — and a scan of her Facebook page reveals images that seem to skew toward young urban professionals. But she is interested in capturing members of certain subcultures. And she has an eye on certain public figures and community leaders. Shokare Nakpodia, creative director of The Mighty Group and founder of DreamWeek, boiled down his message to the essentials. “I always think I have a lot to say, but it had just come after DreamWeek and mine was just two words — ‘Dream big,’” he said. A native of Lagos, Nigeria, Nakpodia has lived in San Antonio for about 10 years. He thinks that “1005 Faces,” like DreamWeek and events such as Luminaria, has the potential to create connections between people living in different points of the city separated by urban sprawl. “That’s why ‘1005 Faces’ is so important. You have some of the usual suspects, but you have a ton of other people that folks look at and go, ‘Really, this person lives here?’” he said. Nan Palmero, a business growth expert on staff with the consulting firm Salesby5, is likewise a supporter of the project and a subject. “I saw some of my friends had gotten photographed by Sarah for the project, and I thought it was really cool, so I just messaged her and said, ‘I think this is awesome. How can I help?’” he said. Dayna De Hoyos had no words. Instead the artist, who is a close friend of Lyons, used symbols to reflect her Comanche heritage. The same symbols adorned her wedding dress. 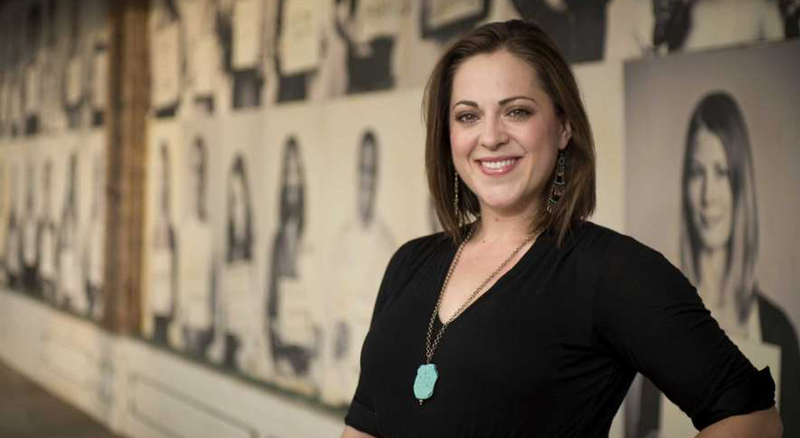 Lyons was able to fund the mural in Southtown with a grant she received from Awesome SA, a group that distributes $1,000 each month “to awesome projects that enhance the San Antonio community.” Eventually, she hopes to have murals around the city.